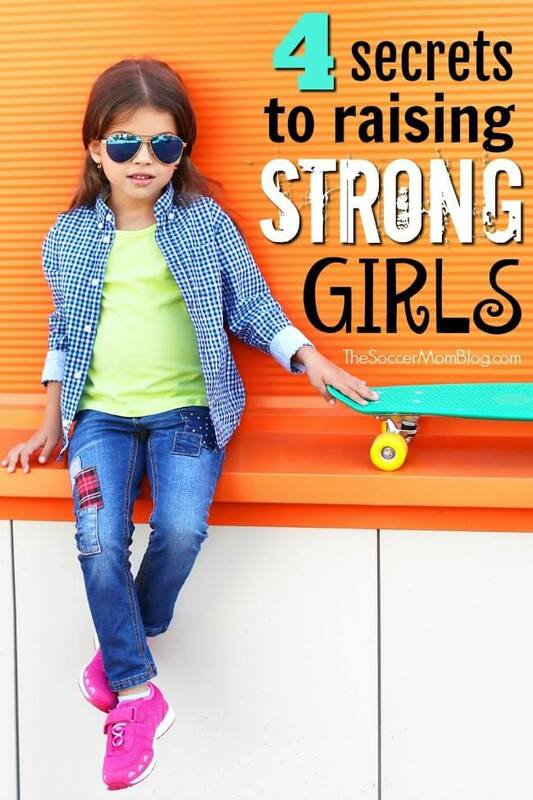 Inside: Why researchers and pediatricians alike say that kids who dress themselves are more independent, self-confident, and may even develop stronger critical thinking skills! 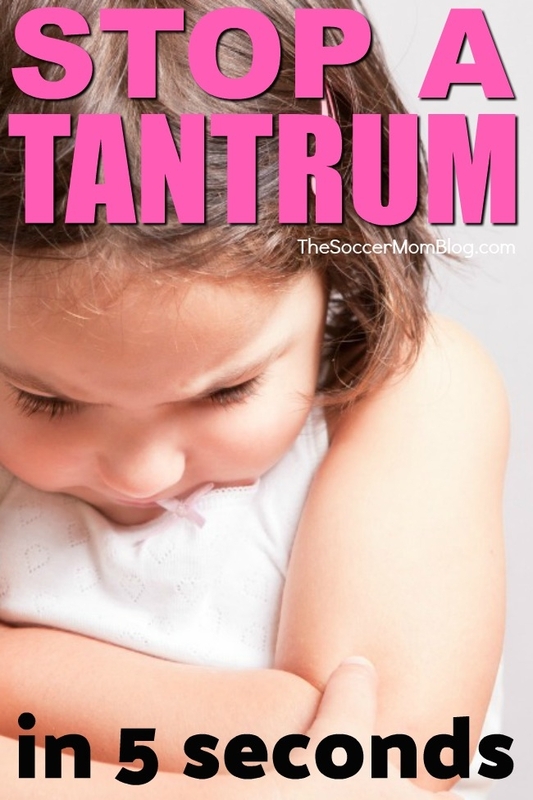 When you hear those words as a parent, you never quite know what to expect! Layers, patterns, glitter, accessories — when toddlers and preschoolers dress themselves, the end result can be pretty entertaining! Like her mama, my middle daughter has always had a strong opinion about clothes. As long as it’s weather appropriate, I usually let her do her thing. 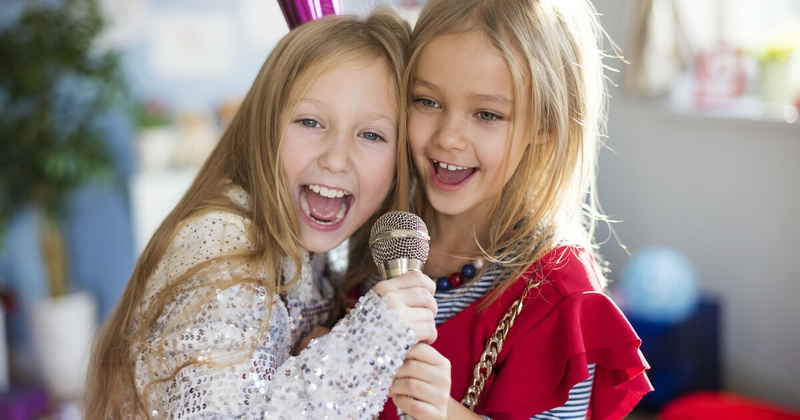 It’s tempting to pick out your children’s clothes for them, but pediatricians and researchers both agree that letting them do it themselves has many lasting positive benefits. The skills learned and confidence gained when kids pick out their own clothes can impact how they navigate adulthood. Those confident and independent kids grow up to be confident and independent adults. Believe it or not, it might make them smarter too! When you think about it, children have most decisions made for them. Choosing their own clothes and learning to dress themselves lets kids take ownership over their lives — well, a small part at least. The American Academy of Pediatrics states that choosing their own clothing for the day is a way for preschoolers to assert their independence and put those skills into practice. In the big scheme of things, what your child wears is not a decision of great importance to us, but it feels SO important to them. Try it: Start by offering your child choices. For example, you might ask, “would you like to wear jeans or leggings today?” This simplifies the process and allows you to give guidance while still letting your child make the final say. Choosing their own clothes allows kids to figure out their own likes and dislikes. It also gives them the opportunity to express themselves through their clothing. Children begin developing a “sense of self” in toddlerhood, or an understanding that “me” is different than everyone else. This is also when they start to shape their views of themselves. Trying new things or learning to do things themselves is one of the main ways that toddlers and young children build self confidence. That self esteem grows even more when parents notice these new skills and provide a positive reaction. Our middle daughter has always had a VERY strong opinion about clothing and accessories. A study published in the journal Social Psychological and Personality Science found that the clothes we wear may actually influence our cognitive abilities — in students as well as adults. Essentially, how we dress can change the way we think! The team’s research showed that when subjects felt like they had “dressed to impress,” they engaged in more abstract thinking. Children generally develop much of their abstract thinking between the ages 11 and 16; however, many developmental psychologists assert that the seeds for those skills are planted much earlier. And to think that you can start your kids on the path to developing these complex brain functions by letting them pick out their own clothes and get dressed in the morning! 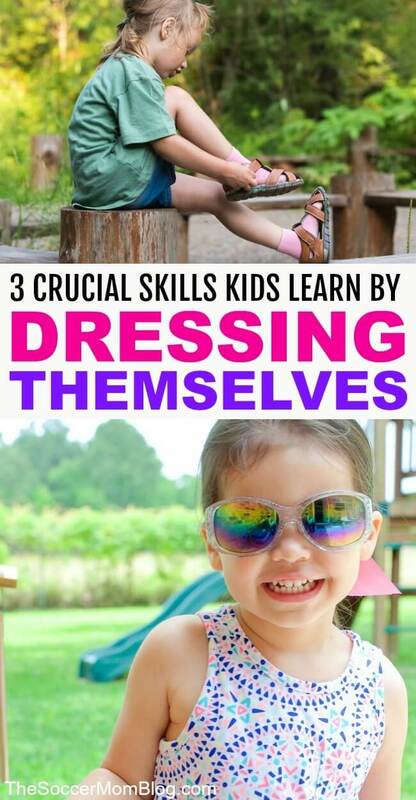 Sure, when kids dress themselves, it’s usually NOT what you’d pick out for them. Half the time it doesn’t match. Honestly, I’m happy if everything is right-side-out and facing the right direction! 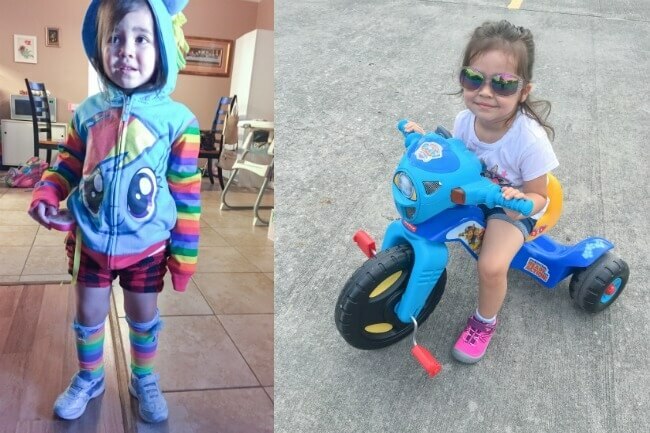 When my daughter first started insisting on picking out her own clothes, I worried a bit what other people might think: why is that mom letting her daughter out of the house like that?! But you know what? WHO CARES!! You know what people probably will think? That you let your kid dress themselves! And apparently that makes you a pretty good parent!